The Memorial Candle Program has been designed to help offset the costs associated with the hosting this Tribute Website in perpetuity. Through the lighting of a memorial candle, your thoughtful gesture will be recorded in the Book of Memories and the proceeds will go directly towards helping ensure that the family and friends of Derell Pruette can continue to memorialize, re-visit, interact with each other and enhance this tribute for future generations. Rev. Derell Pruette, cherished husband, father, grandfather, brother and friend peacefully passed away on February 6, 2019. Born on June 26, 1942 in Vale, North Carolina, Rev. Pruette is a graduate of the Fred T. Foard High School Class of 1960, and attended Gardner Webb College where he studied theology and Greek. He is preceded in death by his wife of 56 years, Mrs. Faye Pruette, of Forest City, NC. He is survived by one son, Steven Pruette of Rutherfordton, NC, two daughters and two son-in-laws, Darla and John Henderson of Forest City, NC, Faith and Chad Bailey of Rutherfordton, NC, 6 grandchildren Lindsay Pruette of Chapel Hill, NC, Madison Pruette of Rutherfordton, NC, Cole Henderson of Forest City, NC, Maytlin Bailey, Grayson Bailey, and a new baby on the way, Hudson Bailey, all of Rutherfordton, NC. Derell is also survived by sisters Shirley Pruette of Hickory, NC and Clara Pruette of Rutherford College, NC, brother Calvin Pruette of Lincolnton, NC, his identical twin brother Carrell Pruette of Vale, NC, 4 brother-in-laws, 2 sister-in-laws, and many nieces, nephews, and cousins. He is preceded in death by his beloved parents, Horace and Mary Ethel Pruette, one brother Grady Pruette, and three sisters Lona Willis, Dosha Houser, and Alta Lail. Rev. Pruette was well-known in this community for his ministry, his building work, and extensive charitable outreach. After college, he started supplying for Corinth Baptist Church. He then served as a minister across western North Carolina at Beulah Baptist Church, Welcome Home Baptist Church, and Pleasant Grove Baptist Church. Derell is well known for his loving friendship, never meeting a stranger, his boundless energy, work ethic, and for his charity, giving to others before himself. He will be missed by many in our community, but most especially by his treasured grandchildren. The family will receive friends at Crowes Mortuary and Chapel on Saturday, February 9, 2018 at 1 – 4 pm, followed by a service at 4 pm. A time of fellowship with the family will also be available immediately after the service; all are welcome. A second brief receiving friends will be held at Mt. 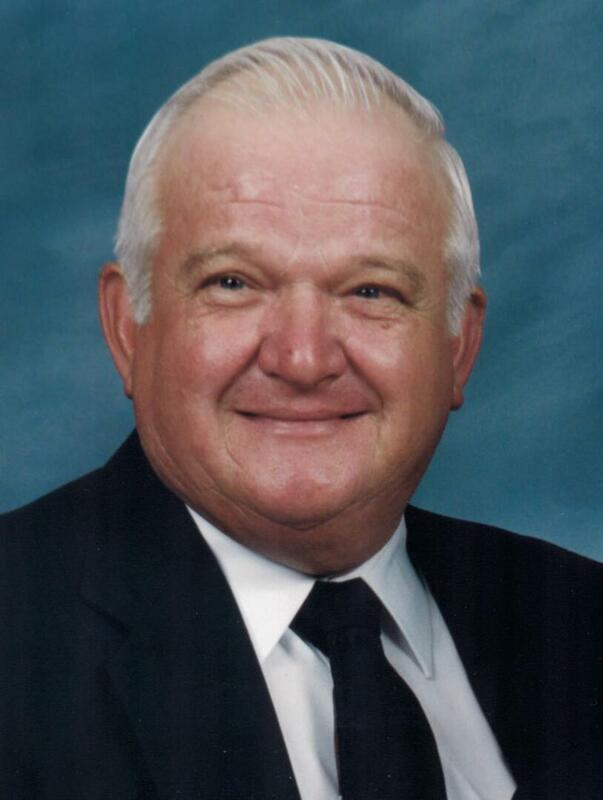 Vernon Baptist Church in Vale, NC on Sunday, February 10, from 2 – 3 pm followed immediately by graveside memorial. Flowers may be sent to Crowes Mortuary, 118 College Avenue, Rutherfordton, NC 28139. In lieu of flowers, donations may be made to Hospice of Rutherford County or to the Henderson Care Center, 125 Henderson Circle, Forest City, NC 28043 Attention: The Reverend Derell Pruette Bible Fund. Online condolences may be made at www.crowemortuary.com.